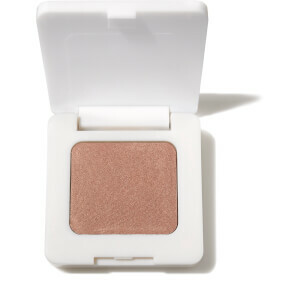 Add sheer color to your eyes with the RMS Eye Polish; a cream eyeshadow with a glowing, light-reflecting finish. 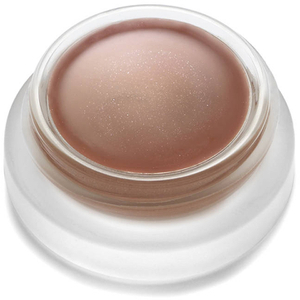 When applied sparingly, the delicate formula nourishes and moisturizes the eye area, and delivers a subtle metallic veil with a barely-there, buildable finish. It provides all the benefits of raw mineral pigments without the dryness. Can also be used as a highlighter for a frosted make-up look. 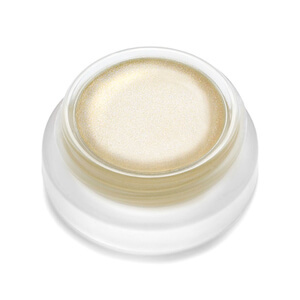 For best results, do not apply moisturizer or oil before using RMS cream eye shadows. Apply sparingly with fingers and blend in firmly for a better adherence. Repeat application for more color if desired. Please remember these are very sheer and results will be superior if applied with minimal product. If minimal creasing occurs, simply use finger to blend and smooth. Please note: These shadows are not guaranteed crease-proof in order to avoid usage of synthetic chemicals that age the delicate skin around the eye area. *Cocos Nucifera (Coconut) Oil,*Cera Alba (Beeswax), *Simmondsia Chinesis (Jojoba) Seed Oil, *Theobroma Cacao (Cocoa) Seed Butter, Tocopherol(non-GMO), *Rosmarinus officinalis (Rosemary) Extract, and may contain: [+/- Titanium Dioxide CI 77891, Iron Oxides CI 77491, CI 77492, CI 77499, Mica CI 77019. I have purchased 3 different colors of this eye shadow because I loved it. 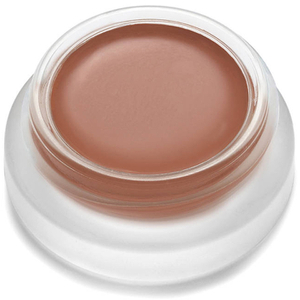 It goes on smooth and is easy to layer for deeper pigment . My eye lids are dry and I don't have to use an eye lid primer before hand which saves me time and money. I love that that the color stays true all day and no need to reapply it. I love how the magnetic and imagine make my blue eyes pop . I use lunar as a highlighter and on the lid and when I don't feel the need for more color.